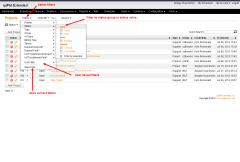 Filters in qdPM allows you filter items listing by filters that you setup in configuration. For example: Status, Type, Group etc. 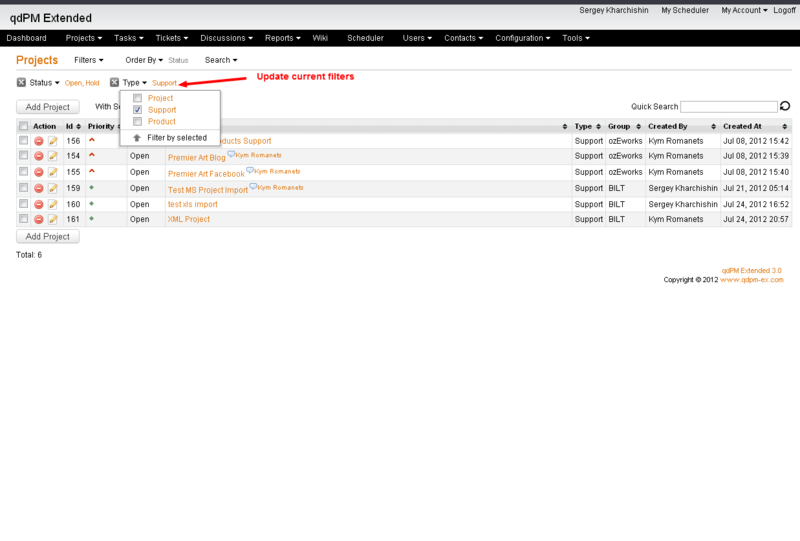 If you using extra fields such as pulldown, readiobox or checkbox then they are available in filters too. 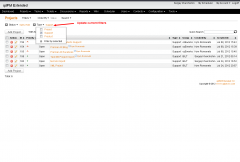 Also there is filter by users who assigned to item. Each users have own independed filters and user can save filters combinaton. I helps you save most common filtes and quick switch filters. 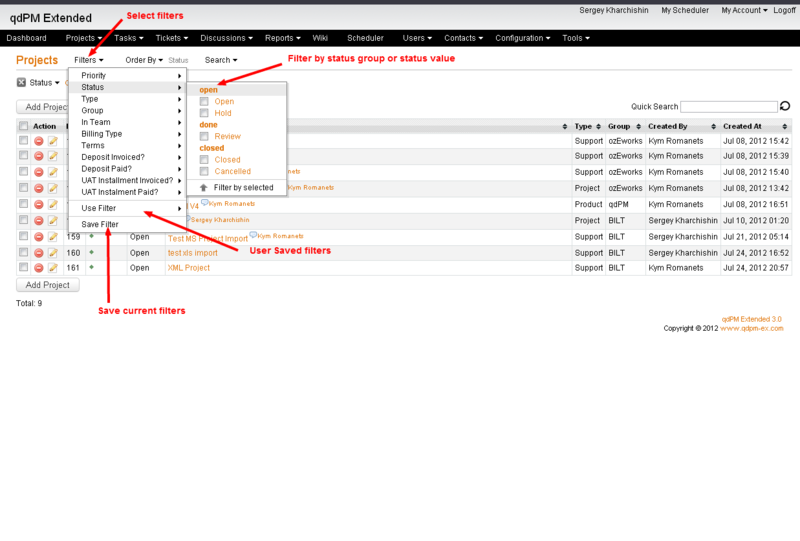 Also once you save filter you can sat to use this filter by defatul so each user can configure own items listing view that will be using by default.